Well, 2012 has come to an end. Where did the time go? What can we look forward to next year? No one can answer that for sure, but I hope everyone has a great new year. It's a hour and half still until we ring in the new year here on the West Coast. What do you plan on doing next year? Again, it's hard to tell, but I sure hope for some things (too many to mention!) to be different this year. I really don't believe in making resolutions. Those who do, do you ever keep them, or even remember what they were after a while? I need to change my blog template. Been so busy with other things that something like this is one of the last things on my mind. But I will get it done. And tomorrow I will get my Christmas stuff put away till next year. I will have had it up for all this month as my fiber-optic tree and lights went up on December 1. Be safe tonight and have a happy new year. Here's to 2013! Margot @ Joyfully Retired has decided that she no longer wants to continue with the Foodies Read challenge. She offered me the chance to start hosting the challenge, which I am thrilled to do. Quiz: How Did Your Year Rate? 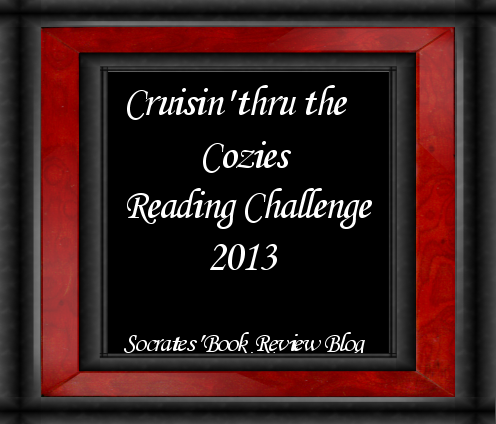 I've joined yet another reading challenge for 2013. I chose this one because romance is one of my favorite reading genres. I plan to try different kinds, including modern, historical, supernatural, and even gay romances. This challenge is hosted by The Book worm. To sign up, visit this link. I started the Romance Reading Challenge in 2008 and I always enjoy hosting it. I want to say a big "thank you!" to all who join, it's a nice thing to see this challenge generate interest and inspire people to read a little romance. If you are looking for suggested reading see Best Romance Novels Today or Romance Novels on Wiki or check out Amazon and Barnes and Noble. In my opinion, you can't go wrong with Jane Austen, Nicholas Sparks and Nora Roberts, to name a few. This year, I am hosting two giveaways for those who participate. One winner will be announced on February 14th, Valentines Day. The other winner will be announced on June 1st. A $15.00 U.S. Amazon Gift E-Card or a $15.00 U.S. Barnes & Noble Gift E-Card. 1. Sign up for the Romance Reading Challenge 2013. 2. You have to have a minimum of one book read and reviewed for the challenge. Everyone who joins the RRC this year and has at least one book read and reviewed for the challenge will be eligible to win a gift card. Each book read and reviewed for the RRC gives you one entry. So the more books you read and review, the more times your name will go in the draw. 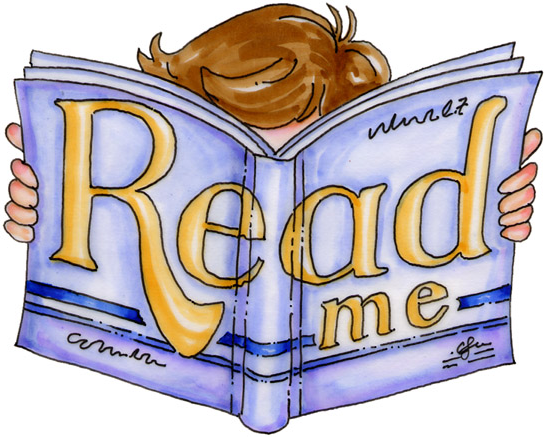 I'll use Mr. Linky to keep track of books reviewed so make sure to link your reviews there. 3. Leave me a comment on this post with your valid email addy. Let me know which gift e-card you prefer. 4. I will announce the winning name at my blog on the two dates I mentioned. I will also notify the winner via email. If I don't hear back from you within 48 hours, the first runner up will be chosen. Good luck and happy reading! Contest is open worldwide. 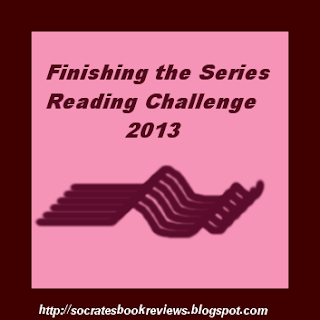 This challenge is hosted by Socrates Book Reviews. To sign up, visit this link. I've been reading a lot of cozies lately and this is perfect for me. I'm going for Level 3. I will likely aim for 36, but I may go up later. I get most of my books from the library. I'm going to try for Level 1. This is my first time doing any reading challenges, and am having a hard time locating some books necessary to finish a series. I've started a few that I want to finish, and some that are still not complete as of yet. I have not decided which one, and if I can I will try to complete more of them. Here are the series that I completed this year. Some I'd started before the beginning of the year, others I unexpectedly started. Hope everyone has a great holiday, whether they celebrate tomorrow or tonight. I don't expect to be blogging tomorrow (just checking and reading them), so in case that is true, I want to wish everyone a Merry Christmas in advance. I'll be off to my aunt's house for our Christmas Eve dinner and gift game in about two hours. I've already gotten my presents from my mom today. Got a Barnes and Noble gift card, as I'd been hoping, as well as one for our local cinema, and some other things. More on that later, as I still have more presents to get. Perhaps I will do a gift recap after tomorrow. Today was weird, as it did not feel like Monday since I was not at work today. I won't be back till Wednesday. I don't know what items we could possibly receiving right after Christmas. and inventory should be happening soon. But enough about for now. While waiting at home before my family's celebration, I did some reading and walked across the street to the Quick Stop for lotto ticket. As is often true, I didn't win, but it was fun trying. Once again, have a Merry Christmas, everyone! Quiz: What Christmas Carol Are You? Your Christmas Song Is "Grandma Got Run Over by a Reindeer"
Unless someone gets run over by a reindeer! Quiz: What is Your Elf Name? The Mayans thought the world was to end today, but we're all still here. Last night (in the Pacific US time zone. where I'm located) photos from the other side of the globe, including some from Japan and New Zealand, began appearing on Facebook, saying that they are still there (as it was already the next day on that side of the globe). It seems as if the Mayans didn't know about the different time zones in the world. Tomorrow has already begun in some parts of the world, so obviously we're all still here. The song "It's the End of the World As We Know It" began playing in my head awhile ago. I haven't heard it in years, but I'm now wondering how many people were thinking of this when today approached, whenever that was for each person (again, the time zone differences around the world). The big guy is on his way! What’s on your Christmas wish list this year? Gift cards seem to be popular. You can find them for all different retailers on kiosks at stores such as Safeway. I seems to be wishing for one every year, especially as I pass by the aforementioned kiosk at Safeway. I've gotten many in past years. Last year, I got one from Barnes and Noble. As much as I love reading, it took me several months to spend the card as I was always having trouble deciding what tog et. Years before the Barnes and Noble store nearest me (in Gilroy, CA) came around, I would of ten go to the Borders store in Seaside, CA for books and DVDs. I last went to that store in the summer of 2010, not knowing it would be my last visit ever. With B&N having come to a closer town, and with having to commute to Gilroy for work, getting to Seaside was hard to do (think of gas! ), so going to Borders was hard. The lady at Borders even asked me if I had tried the B&N store. I had, but was unable to find what I was looking for. Anyhow, long before the B&N store had opened in Gilroy, I recall getting at least one Borders gift card. One year, I received cards for Safeway, Kmart (yes, I still have one of those), Rite Aid, Subway, and Target--all favorite places of mine. This year, I'm hoping for at least one of those, and one from Barnes and Noble, as there are many books I'm hoping to read soon, and possibly one from Lane Bryant, where I've been going recently to get certain clothing items :-) I've actually gotten a early present this year, a Target card, which I've already used. The DVD of "Rock of Ages" was on sale at Target two weeks ago, as was that of "Moonrise Kingdom." I saw both of these movies over the summer and loved them both, so I snagged both of them while they were on sale. I've also, in past years, received the gift cards from the different credit card companies, though in my case I've only ever gotten the VISA ones. They also make these for Mastercard and American Express. These can be used anywhere that accepts the credit cards. If you're looking to give someone a gift card but am not sure what store(s) or website(s) to get them for, try one of these or this--the My Choice Card from Safeway. The buyer chooses the amount, and the recipient exchanges the card at Safeway for one or more cards their choice (if choosing more than one, the value of each must add up to the amount on the My Choice card). These are always good stocking stuffers. Quiz: What Kind of Christmas Card Are You? Welcome to the Original Audio Book Challenge. This challenge is for Audio Book lovers as well as those who are brand new to them. This is a fairly laid back challenge and I want it to be as enjoyable as possible. You don’t have to be a blogger to participate. You can tell us about what you are listening to in the comments of the monthly link up. There will be a monthly link up so that we can share what we’ve listened to and make suggestions to each other. I hope I’ve enticed you to join in the 2013 Audio Book Challenge. I’m really looking forward to reading your reviews and experiences over the next year. 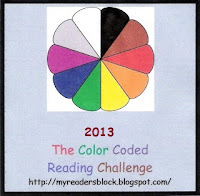 Last year, after Googling something, I discovered several reading challenges on several blogs. I then decided to look for some to try for 2013. Last year I started getting into the idea of audio books. Until last year or so, I'd slacked on reading printed books (and am still not into the idea of e-readers). IN years past, I'd ever even considered audiobooks, until I started reading the "Stephanie Plum" books last year. I got most of then form the library, and one of them was not available as a printed book, but as an audiobook, so in order to read this one, I had to get the audiobook. It was quite fun. I've only listened to four other audiobook this year so far, but want to try more next year. I came across a book on CD at my library last year called "The Monsters of Templeton." It's quite good, and if you like historical fiction, ghost stories, and/or contemporary romance, this story combines all of those, and is worth reading (or listening to, if you prefer). To join this challenge, sign up here. *A blog and reviews are not necessary to participate. If you have a blog, then please post a challenge sign up and link THAT post (not your home page) into the linky below. Non-bloggers, please leave a comment declaring your challenge level--OR, if you are a member of Goodreads, I will once again put together a group for the challenge there. Feel free to sign up HERE. And, finally, I am contemplating a review tracker for this year. I will post a link if that works out. 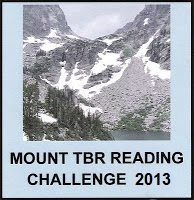 I decided to sign up for this reading challenge at the Mount Blanc Level. I havev at least 26 books at home I have yet to read. To sign up, visit this link. The challenge runs from January 1, 2013 to December 31, 2013. You are good at understanding difficult subjects. Understanding people? Not so much. The Netflix envelopes have been using the Christmas envelopes since just before Thanksgiving. These two designs are what I've seen as of yet. That first one reminds me of a knitted Christmas sweater. Sometime almost a year ago I was Googling something about books and came across several reading challenges on different blogs. Sounded like fun, but also a lot of work. I thought I could do it, though. Just a while ago, I ddi this search again and came across several challenges I might try next year. I will let you know on my blog about this later when I decide. Most will begin on January 1. For right now, I've decided to join the following challenge as it is for the Christmas Season, and I have already read six Christmas books and have three others to go. Go to the link in the following paragraph after the jump to sign up. 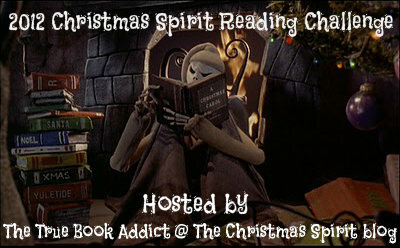 It's the fourth year of the Christmas Spirit Reading Challenge! Like last year, there are multiple levels for participation, like children's books and watching Christmas movies. So, something for everyone! visit this POST for a list of new Christmas books for 2012. There are a lot of good ones coming out this year, including the new Richard Paul Evans novel, A Winter Dream (I just got it yesterday!). 46. Laurie Here - Contemporary Fiction and MORE! 53. inflammation of. . .